Point2 Homes gives you far more than a simple list of houses for sale. Get instant access to a lot of relevant information about Hope, BC real estate, including property descriptions, virtual tours, maps and photos. The search results pages also have a wealth of information on Hope, BC, if you scroll all the way down. 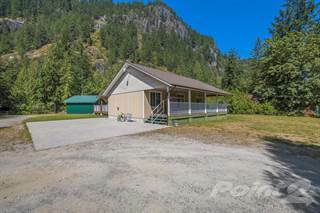 There are 83 houses for sale in Hope, BC. 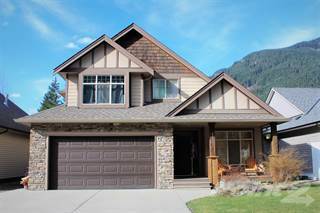 Searching homes for sale in Hope, BC has never been more convenient. 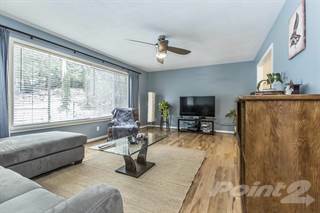 With Point2 Homes, you can easily browse through Hope, BC single family homes for sale, townhomes, condos and commercial properties, and quickly get a general perspective of the real estate prices. Also, you’ll never miss a bargain if you filter listings based on house price drops in the past six months. Use the map view to find Hope, BC homes and apartments for sale, based on amenities or city features that you may want close by. You can close in on a specific neighbourhood or area by simply drawing around them with the polygon or radius tools. Stay informed about the latest entries on the real estate market by saving your searches. This way, you get new listings in your inbox, daily or every week, based on your preferences. If you’d like to get in touch with a professional, agents are displayed next to their listings, and they’re easy to contact through the online forms. If you want more options, you can click the Tools tab and Find an Agent, and you’ll get a list of helpful and knowledgeable real estate agents in Hope, BC. Visit the Point2 Homes blog and you can find up to date expert advice on many markets throughout Canada, regular market reports, neighbourhood scoops in cities throughout the provinces, real estate deals and useful recommendations. Hope has a small-town feel, with the added beauty of the surrounding landscape. Tucked between mountain ranges, and located next to two rivers, it provides a relaxing atmosphere that also allows for a number of recreational opportunities such as hiking, fishing, waterskiing, and jet skiing. Downtown Hope offers amenities such as restaurants, shops, and bed and breakfast establishments, as well as an opportunity to learn more about the town at the Hope Museum and Memorial Park/Friendship Garden. Hope is located about two hours east of Vancouver, and is situated where the Fraser and Coquihalla rivers meet at the southern end of the Fraser Canyon. The district is surrounded by the communities of Kawkawa Lake, Silver Creek, Floods, and Lake of the Woods. Hope provides beautiful scenery in the form of rivers, lakes, mountain ranges, coastal rainforests, and alpine meadows. The downtown area has a relaxed, small-town feel with quaint shops and rustic restaurants. The area has a strong First Nations influence, including art, place names, and businesses. Willow Tree Spa on Fraser Avenue is a wellness and massage centre that offers treatments such as hot stone and Thai stem massages, reflexology, shiatsu, and body wraps, and clients also have access to a sauna. The spa also offers a variety of wellness products for purchase. Anna’s Incense on Wallace Street offers a variety of incense products that are hand-dipped and packaged fresh. Scents include jasmine, cinnamon, vanilla, pine, and sandalwood, among many others, and the incense comes in sticks and wands, cones, and oils. Ruby Creek Art Gallery on Lougheed Highway is a gallery owned and operated by the Skawahlook First Nation. The gallery features works by a number of Northwest First Nations artists and includes prints, jewelry, hard-carved items, drums, soapstone, and textiles. The Hope Museum, located in the old RCMP jailhouse and admin building, provides information about the history of the town, from both First Nations and European settler perspectives. Hope’s dining establishments offer a variety of fare. Kibo Japanese Grill & Cafe on King Street is a cozy, home-like experience with fresh and colourful dishes. The restaurant has a seasonal outdoor patio area and a fantastic view of the mountains. Sakoon Indian Cuisine on Wallace Street provides bright, flavourful options at very reasonable prices. The restaurant can be easy to miss from the exterior, but inside the atmosphere is comfortable and friendly. A retro-style diner, Rolly’s on Fraser Avenue offers breakfast all day, as well as comfort foods like sandwiches, steaks, and pasta. The venue provides a family-friendly place to dine and relax. Blue Moose Coffee House on Wallace Street is a fun place to grab a coffee and a bite to eat while enjoying the sleek, artistic surroundings. 293 Wallace on Wallace Street is a work of art, both inside and out. The restaurant’s modern look and creative cuisine provide a unique experience. Hope offers mostly single-family detached homes, with a mix of smaller apartment buildings and rowhouses.The average price for single-detached homes in the area is $349,900, which is much lowerthan the average price for single-detachedhomes in British Columbia overall($663,000). The population of Hope is 5,969, and this has remained fairly steady for the past 15 years. Families make up 33% of the population here, 37% are couples, and 30% are single. The average annual income is $67,299, which is similar to the province as a whole, and 52% of residents are university or college educated. Air pollution and noise issues are not a concern in most of Hope, other than in areas near main highways. The crime rate in Hope is slightly higher than in surrounding communities such as Agassiz and Chilliwack, with the most frequent types of crime in the area being assault, breaking and entering, motor vehicle theft, and disturbing the peace. While the crime rate has risen in Hope in the past several years, the severity of crime incidents has decreased. Primary and secondary schools in Hope include Coquihalla Elementary School, Hope Secondary, Two Rivers Education Centre, and Silver Creek Elementary School. University of the Fraser Valley operates Hope Centre, which offers education upgrading, university preparation, and continuing studies programming to adult learners in Hope. Other post-secondary options in nearby communities include Trinity Western University in Langley, Simon Fraser University in Burnaby, University of the Fraser Valley in Abbotsford, and the University of British Columbia in Vancouver. Hope does not have a public transit system, since the downtown core is five blocks and everything is within walking distance. Most residents walk, use a taxi service, cycle, or drive their own vehicles. Hope is surrounded by the beauty of nature, and many parks and greenspaces provide residents with an opportunity to get outside and explore. Memorial Park offers a playground, treed areas, a grass field, basketball courts, tennis courts, and restroom facilities. In the summer, live music events are held in the park’s amphitheatre. The park also includes the Japanese Friendship Garden, which pays tribute to the Japanese Canadians who were interned at a Canadian camp during World War II. The garden includes a pond, statues, and plenty of greenery. Kawkawa Lake Park is located on Kawkawa Lake and provides amenities such as restrooms, a beach for swimming, picnic tables, and a small boat launch. Many visitors partake in water sports such as waterskiing, wake boarding, tubing, and jet skiing. Coquihalla Canyon Provincial Park near Hope includes the Othello Tunnels, which were part of railways that were built by the Canadian Pacific Railway. Trails lead through the tunnels and over bridges, and many people also come to fish and picnic. Other recreational activities include the Hope Lookout Trail, which is accessible from the downtown area. The 2.4-km trail climbs 470 metres up the side of Mount Hope to a viewpoint on a rocky slope. The trail is popular and well maintained. The Coquihalla Campground provides tent and RV camping options, and includes amenities such as hookups (power, water, and sewer), showers, restrooms, Wi-Fi, laundry facilities, a convenience store, and covered BBQ area. Residents can play a round of 18-hole golf at the Hope Golf Club, which is also a popular venue for events like private parties and weddings. The Hope & District Recreation Centre offers programs and classes in swimming, soccer, yoga, and volleyball, to namea few. Read more about living in British Columbia.